Tracheid of oak shows pits along the walls. It is longer than a vessel element and has no perforation plates. Xylem is one of the two types of transport tissue in vascular plants, phloem being the other. The basic function of xylem is to transport water from roots to stems and leaves, but it also transports nutrients. The word "xylem" is derived from the Greek word ξύλον (xylon), meaning "wood"; the best-known xylem tissue is wood, though it is found throughout a plant. The term was introduced by Carl Nägeli in 1858. Vascular plants, also known as tracheophytes, form a large group of plants that are defined as those land plants that have lignified tissues for conducting water and minerals throughout the plant. They also have a specialized non-lignified tissue to conduct products of photosynthesis. Vascular plants include the clubmosses, horsetails, ferns, gymnosperms and angiosperms. Scientific names for the group include Tracheophyta, Tracheobionta and Equisetopsida sensu lato. The term higher plants should be avoided as a synonym for vascular plants as it is a remnant of the abandoned concept of the great chain of being. Tracheids provide most of the structural support in softwoods, where they are the major cell type. Because tracheids have a much higher surface to volume ratio compared to vessel elements, they serve to hold water against gravity (by adhesion) when transpiration is not occurring. This is likely one mechanism that helps plants prevent air embolisms. Adhesion is the tendency of dissimilar particles or surfaces to cling to one another. The forces that cause adhesion and cohesion can be divided into several types. The intermolecular forces responsible for the function of various kinds of stickers and sticky tape fall into the categories of chemical adhesion, dispersive adhesion, and diffusive adhesion. In addition to the cumulative magnitudes of these intermolecular forces, there are also certain emergent mechanical effects. Transpiration is the process of water movement through a plant and its evaporation from aerial parts, such as leaves, stems and flowers. Water is necessary for plants but only a small amount of water taken up by the roots is used for growth and metabolism. The remaining 97–99.5% is lost by transpiration and guttation. Leaf surfaces are dotted with pores called stomata, and in most plants they are more numerous on the undersides of the foliage. 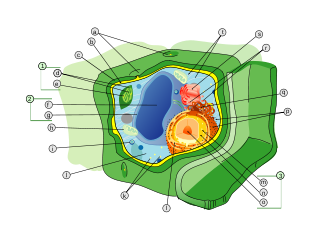 The stomata are bordered by guard cells and their stomatal accessory cells that open and close the pore. Transpiration occurs through the stomatal apertures, and can be thought of as a necessary "cost" associated with the opening of the stomata to allow the diffusion of carbon dioxide gas from the air for photosynthesis. Transpiration also cools plants, changes osmotic pressure of cells, and enables mass flow of mineral nutrients and water from roots to shoots. Two major factors influence the rate of water flow from the soil to the roots: the hydraulic conductivity of the soil and the magnitude of the pressure gradient through the soil. Both of these factors influence the rate of bulk flow of water moving from the roots to the stomatal pores in the leaves via the xylem. An air embolism, also known as a gas embolism, is a blood vessel blockage caused by one or more bubbles of air or other gas in the circulatory system. Air embolisms may also occur in the xylem of vascular plants, especially when suffering from water stress. Air can be introduced into the circulation during surgical procedures, lung over-expansion injury, decompression, and a few other causes. In vascular plants, phloem is the living tissue that transports the soluble organic compounds made during photosynthesis and known as photosynthates, in particular the sugar sucrose, to parts of the plant where needed. This transport process is called translocation. In trees, the phloem is the innermost layer of the bark, hence the name, derived from the Greek word φλοιός (phloios) meaning "bark". The term was introduced by Nägeli in 1858. Sap is a fluid transported in xylem cells or phloem sieve tube elements of a plant. These cells transport water and nutrients throughout the plant. Sclereids are a reduced form of sclerenchyma cells with highly thickened, lignified cellular walls that form small bundles of durable layers of tissue in most plants. The presence of numerous sclereids form the cores of apples and produce the gritty texture of guavas. In plant anatomy, the Casparian strip is a band of cell wall material deposited in the radial and tranverse walls of the endodermis, and is chemically different from the rest of the cell wall - the cell wall being made of lignin and without suberin - whereas the Casparian strip is made of suberin and sometimes lignin. A vessel element or vessel member (trachea) is one of the cell types found in xylem, the water conducting tissue of plants. Vessel elements (tracheae) are typically found in flowering plants (angiosperms) but absent from most gymnosperms such as conifers. Vessel elements are the main feature distinguishing the "hardwood" of angiosperms from the "softwood" of conifers. A hydroid is a type of vascular cell that occurs in certain bryophytes. In some mosses such as members of the Polytrichaceae family, hydroids form the innermost layer of cells in the stem. 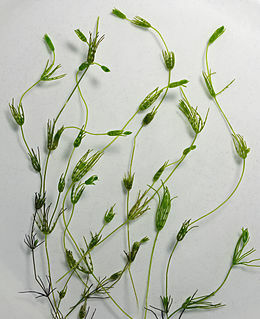 At maturity they are long, colourless, thin walled cells of small diameter, containing water but no living protoplasm. Collectively, hydroids function as a conducting tissue, known as the hydrome, transporting water and minerals drawn from the soil. They are surrounded by bundles of living cells known as leptoids which carry sugars and other nutrients in solution. The hydroids are analogous to the tracheids of vascular plants but there is no lignin present in the cell walls to provide structural support. Vascular tissue is a complex conducting tissue, formed of more than one cell type, found in vascular plants. The primary components of vascular tissue are the xylem and phloem. These two tissues transport fluid and nutrients internally. There are also two meristems associated with vascular tissue: the vascular cambium and the cork cambium. All the vascular tissues within a particular plant together constitute the vascular tissue system of that plant. In botany, secondary growth is the growth that results from cell division in the cambia or lateral meristems and that causes the stems and roots to thicken, while primary growth is growth that occurs as a result of cell division at the tips of stems and roots, causing them to elongate, and gives rise to primary tissue. Secondary growth occurs in most seed plants, but monocots usually lack secondary growth. If they do have secondary growth, it differs from the typical pattern of other seed plants. A leptoid is a type of elongated food-conducting cell like phloem in the stems of some mosses, such as the family Polytrichaceae. They surround strands of water-conducting hydroids. They have some structural and developmental similarities to the sieve elements of seedless vascular plants. At maturity they have inclined end cell walls with small pores and degenerate nuclei. The conduction cells of mosses, leptoids and hydroids, appear similar to those of fossil protracheophytes. However they are not thought to represent an intermediate stage in the evolution of plant vascular tissues but to have had an independent evolutionary origin. The evolution of plants has resulted in a wide range of complexity, from the earliest algal mats, through multicellular marine and freshwater green algae, terrestrial bryophytes, lycopods and ferns, to the complex gymnosperms and angiosperms of today. While many of the earliest groups continue to thrive, as exemplified by red and green algae in marine environments, more recently derived groups have displaced previously ecologically dominant ones, e.g. the ascendance of flowering plants over gymnosperms in terrestrial environments. Ventarura is a genus of extinct vascular plants of the Early Devonian. Fossils were found in the Windyfield chert, Rhynie, Scotland. Some features, such as bivalved sporangia borne laterally and the anatomy of the xylem, relate this genus to the zosterophylls. Other features are unclear due to poor preservation. ↑ Esau, K. (1977). Anatomy of Seed Plants (2nd ed.). New York: John Wiley and Sons. ISBN 0-471-24520-8. ↑ Peter A. Raven; Ray F. Evert; Susan E. Eichhorn (1999). Biology of Plants. W.H. Freeman and Company. pp. 576–577. ISBN 1-57259-611-2. ↑ Sanio, C. (1863). "Vergleichende Untersuchungen über die Elementarorgane des Holzkörpers". Bot. Zeitung. 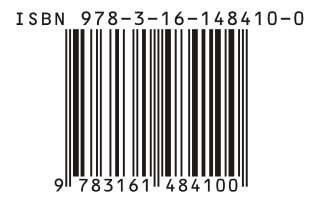 21: 85–91, 93–98, 101–111. ISSN 2509-5420. Wilson, K.; White, D. J. B. (1986). The Anatomy of Wood: Its Diversity and Variability. London: Stobart & Son Ltd. ISBN 0-85442-033-9. Wikisource has the text of The New Student's Reference Work article Tracheid . Pictures of softwood tracheids in cross section and in maceration; both in pine.